This morning I got bit by the baking bug and decided to bake my beau some muffins. The recipe I used is SUPER easy and doesn't contain any dairy products, so this would be a great treat to make if you have dairy allergies. I can't believe how moist and tasty they came out without the use of eggs or milk. 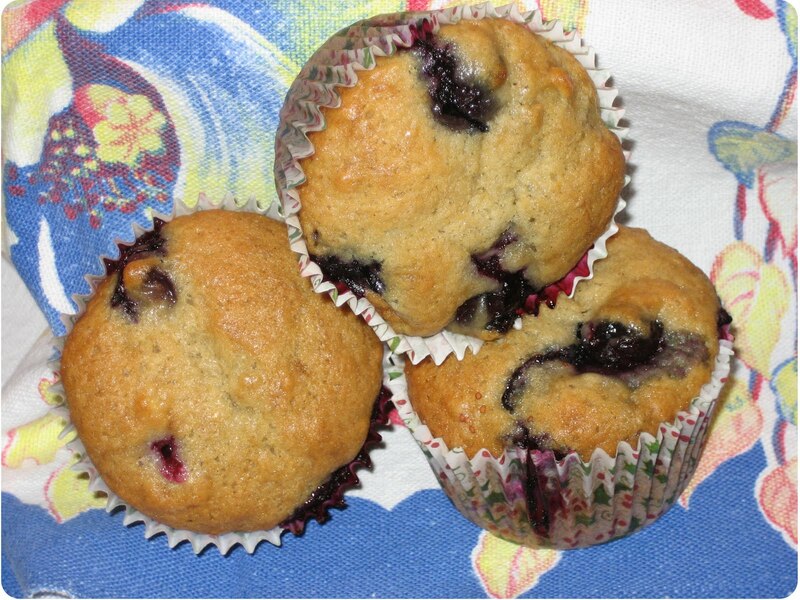 I think these are my new favorite muffins to make!!! -Sift flour, salt, & baking soda together and add to the banana mixture, mix until the flour is blended (do not beat). -Pour into muffin pans or a loaf pan and bake for 20 minutes or until a toothpick comes out clean. I love it when bloggers share recipes!! I'm going to try these muffins. Thanks much!! !